On the heels of announcing his massive High Noon Neon Tour in the US, two-time and reigning ACM Entertainer Of The Year Jason Aldean now reveals he’s also readying new music. REARVIEW TOWN, his eighth studio album, will be out on 13th April, with lead single, the tender, blues-lined “You Make It Easy” out now. Aldean has created an unconventional three-part music video for the “swoon-worthy new single” (Billboard).” Directed by long-time collaborator Shaun Silva and filmed outside of Nashville, the suspenseful storyline unravels over the track’s “raw and bluesy lyrics” (USA Today). With each cliff-hanging ending, the music videos follow a couple’s deep-rooted love in the face of unpredictable circumstances. Watch the music video series now. The “vulnerable and slow burning” new single (Rolling Stone) yearns with the well-worn sounds of hometown heroes Otis Redding and the Allman Brothers Band, as it kicks off Rearview Town’s fiercely confident songs that are certain to add fire to a career that’s already witnessed 19 chart-topping hits. 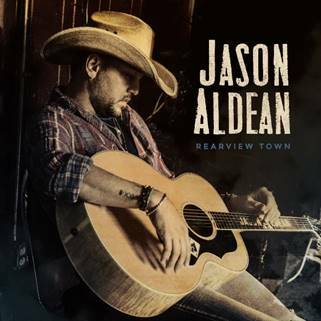 Aldean has always been akin to his fans and new album Rearview Town is full of vignettes of life laid over electrifying rock n’ roll and country sounds, building upon that history. The upcoming album follows his last three albums that each bowed at #1 on the all-genre Billboard 200 albums chart and all seven of his previous LPs have achieved Platinum certification or better, tallying more than 15 million total album sales and 19 #1 hits. His wide-open approach has made him a perennial live-show favorite for the format: Aldean has headlined many of the biggest stadiums in the United States, and this year, Aldean will launch his High Noon Neon Tour on 10th May. For more information and for a full list of upcoming tour dates, http://www.jasonaldean.com.